Let's cut to the chase here, no one, at least no one I have ever met, correction, no sane person I have ever met, likes reading through promotional content. PIGs are different, but you already know that... so with that in mind, we have decided to write this article backward. 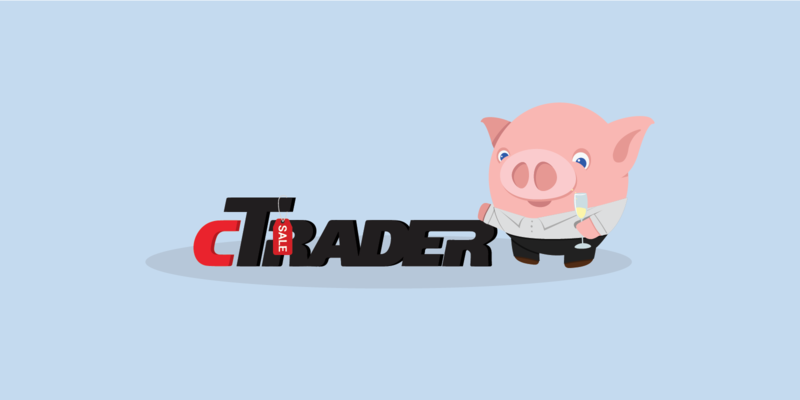 Open a new cTrader account at FXPIG and pay only 2.50 per 100k traded. That is nearly a 20% savings off our already low rates. Still here? REALLY? Well perhaps I was wrong... for those of you who LIKE to read our promotional articles, which I must say is pretty darn entertaining, please.... read on. Some time ago, around the time man started walking on two legs, you know back when us PIGs were just piglets, eager to go out and conquer life, by revolutionizing the retail FX sector, ok, ok, toning down the marketing JUST a tad... life seemed... well, simpler. Easy, a choice was nonexistent. If you wanted to watch TV, you had two choices, channel 2 or channel 5, if you wanted to buy a new pair of shoes, you just went to the store, and bought what they had on the shelf. There was no thinking about what might be available elsewhere... because there was no elsewhere, there was just what was in front of your face, so you either made a purchase or went home. Simple. For those of you that do not remember those times, don't get overwhelmed with regret thinking that simpler meant easier, and don't allow yourself to be fooled that people were happier with all that free time they were saving not having to make choices. As the saying goes, ignorance is bliss. Now those times are FAR gone, but the real IRONY here is that the retail FX industry, an industry that sees billions of dollars funneled through it daily, seems to be stuck in those spectacularly ignorant times. By now, you must know that we here at FXPIG took an oath to change the industry, as we truly believe many of the so-called industry 'norms' are quite simply unacceptable. As part of our constant struggle to shed more light and transparency on an industry that desperately needs it, we continue to work tirelessly on providing our clients with tools that EMPOWER them to find and embrace profitability. After all, we are your PARTNER, not just your broker. Look, no one who has been around this industry for more than five minutes needs to hear that cTrader is a superior product when compared to MT4... but c'mon guys, everyone is quick to complain about MT4, and then, just as fast, they come up with every excuse in the book NOT to make the switch. Well, you can scratch 'it's more expensive' off that list of mediocre excuses. Position timeline which shows every event affecting your trade. Trade in either lots or units. Find out more information on the cTrader Platform here.